Ramayana and Buddhist Circuits are among the thirteen thematic circuits identified for development in the country including Bihar under Swadesh Darshan Scheme. 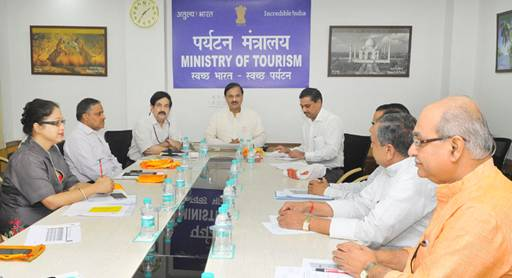 The Ministry of Tourism undertakes a series of promotional activities under the ‘Incredible India’ brand-line to promote India and its various tourism products and destinations including religious places in Bihar in domestic and international markets. Incredible India campaigns are released in domestic and international markets in various media including Print, Television, Online and Outdoor to showcase India’s tourism potential and to increase foreign tourist arrivals and domestic tourist visits in the country. A series of promotional activities are also undertaken through the India Tourism Offices in India and overseas. These include participation in travel fairs and exhibitions; organising Road Shows, seminars & workshops; production of publicity material and hosting media personalities, tour operators and opinion makers from overseas under the Hospitality programme of the Ministry. The Ministry of Tourism also utilizes its website and social media platforms to promote the tourism destinations and products of the country.